they'll be going in the shop soon, but i have to work today, so probably not until tomorrow. hello, favorite colors. it will be difficult to sell you and not keep you for myself. 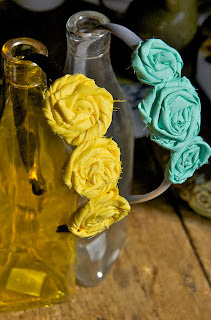 headband + frayed rose + fabric + robins egg blue + yellow = accessory love. cute bows on elastic headbands! the one in the middle is made from vintage fabric. let me know what you think! 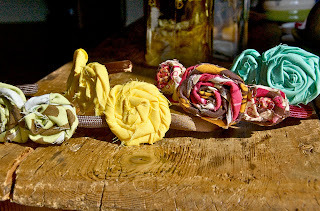 :) i also plan on putting some bows and flowers onto the braided fabric headbands. they look very promising in my head. i think in the near future i will be doing a giveaway for one of these cuties. stay tuned! These make me very happy. 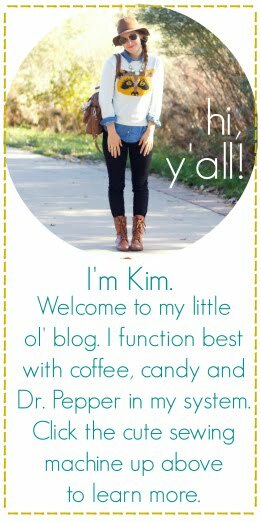 super cute kim! love the colors! 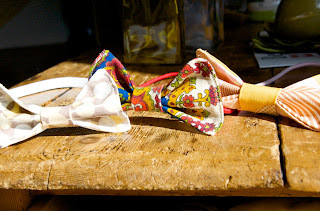 when are you putting the bow ones up in the shop like the ones in this post?? love you friend! hm i need to do that. maybe today!